We’ve gotten several emails asking us how to start using ReefTools Live to document and monitor an aquarium, so we decided to put together a series of tutorials. 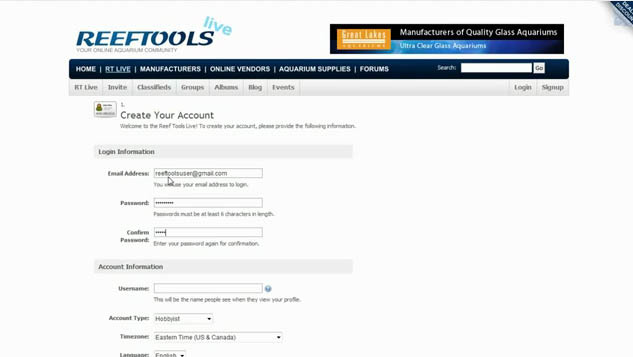 The first one will go over how to sign up for ReefTools Live. Once the account is set up and ready to go, you can add all your information, track parameters, create photo albums, blog, etc. So if you’re trying to learn how to setup a saltwater aquarium or a reef tank, here’s a good place to start. As a note, you should watch this series of ReefTools videos in 720P.